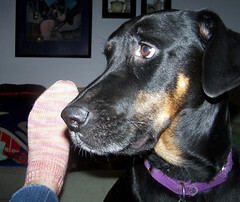 Lapdog Creations: Summer Anklets... just in time for winter! I finally finished my Bob Marley Grandma's Footsies! I started these back in May for a pretty, lightweight summer anklet... and just finished them last week. No, the pattern wasn't difficult... but it was pretty boring. Now, don't get me wrong though, they are cute socks, I just kept tossing them aside to work on other things. 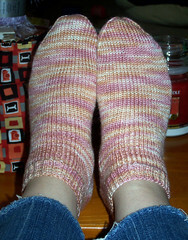 Also, this was the first pair of socks I knit using a merino / tencel blend and I don't think I'll use it for socks again. The yarn is Sereknity Triple Scoop and I do love it, but I found that the tencel made the looseness between needles (I knit these on DPNs) way more noticeable. See? I haven't had such noticeable problems with my other socks, so I do chalk it up to the tencel. 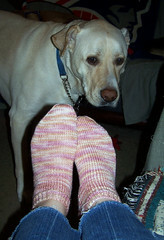 Don't get me wrong though, its a beautiful yarn - the tencel gives a gorgeous sheen, but its just not for me, for socks. I am using another of Heather's merino/tencel for a lace headband and for that, it is working out lovely! I have some other finished objects too, but didn't photo most of them since they went right in to the stash bag for items for the Christmas Open House at A Knitter's Garden. I'll photo most of that stuff when its more complete and ready for sale. 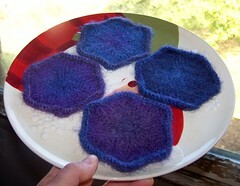 I did felt a few items yesterday though and snapped some drying photos. 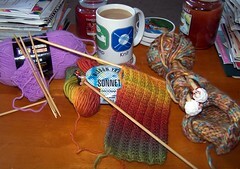 This morning I worked on my scarf some more, but after I finish this post its back to knitting items for the open house. 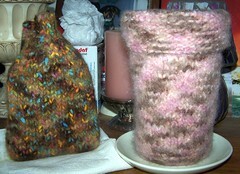 Left to right, works in progress are a cabled coffee cozy, my scarf and another bangle bracelet night out bag. Also pictured is a delicious cup of Pumpkin Spice coffee! Enjoy the rest of your Sunday. I'll leave you with some photos from my BMG Footsies photo shoot that ended up on the cutting room floor, due to some "helping paws..."
Love the paws and noses in the last couple of shots! 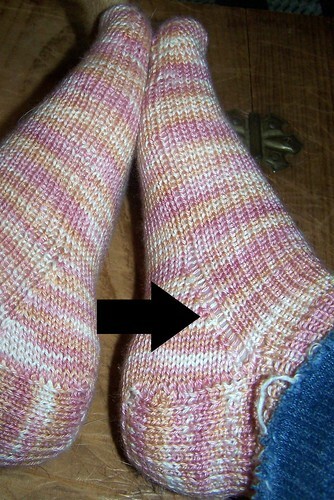 Your little arrow points to the evidence that 2 circs are the way to go for sock. 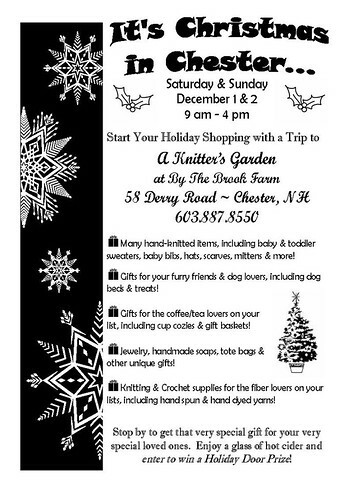 But I am not a tencel or other faux fiber fan. 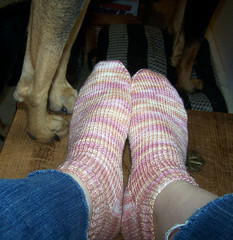 I recently knit socks with a yarn that has ground up shrimp shells in it. Eww! Give me plain ol' wool. Cute socks, sorry about your ladder, lol. Funny how dogs see a camera and start cheezin like children...Have a great week!